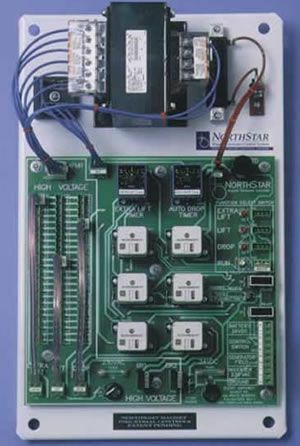 The NorthStar Magnet Control System is the most advanced control system in the industry. It is not merely a large on and off switch like the competitors. It is a complete control system which increases your magnets lifting capacity, reduces maintenance and down time, increases productivity and is very easy to install and operate. This is the last magnet controller you will ever need. 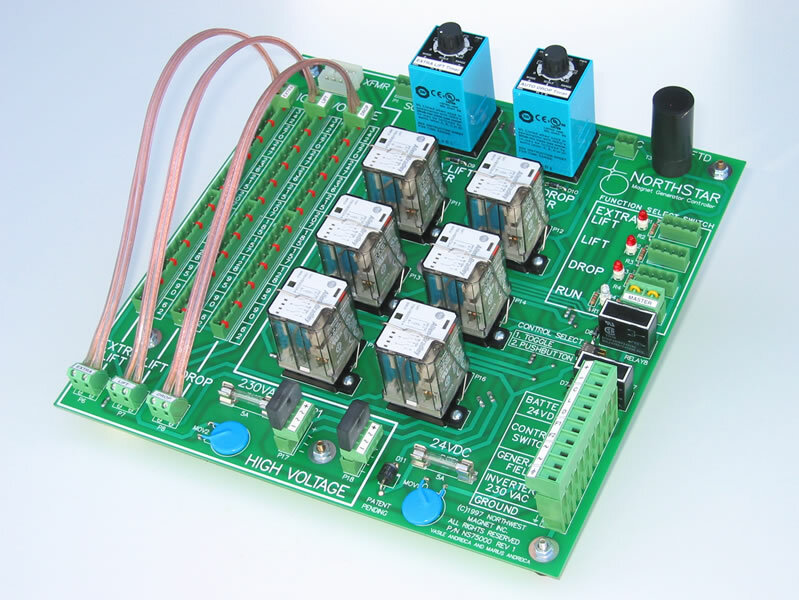 Replaces any 230V DC magnet controller. 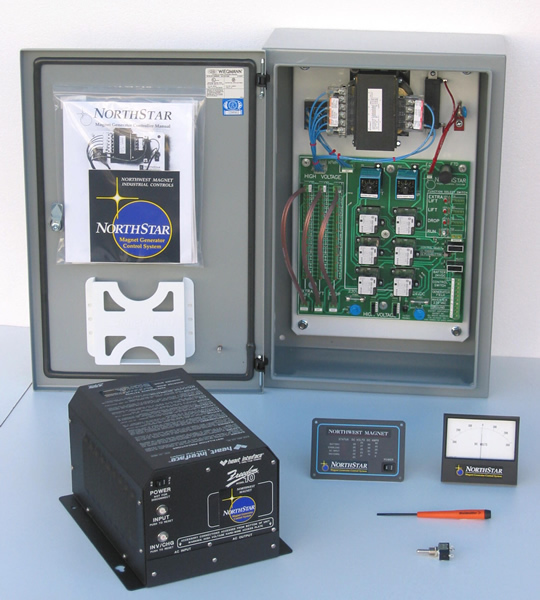 Designed for all 230V DC generators and magnets. Improves efficiency and lifting capacity by operating the magnet and generator at cooler temperatures. Connects magnet and generator so that magnet voltage can not exceed the generator voltage. This increases the life of the magnet and eliminates the need for expensive contactor maintenance. 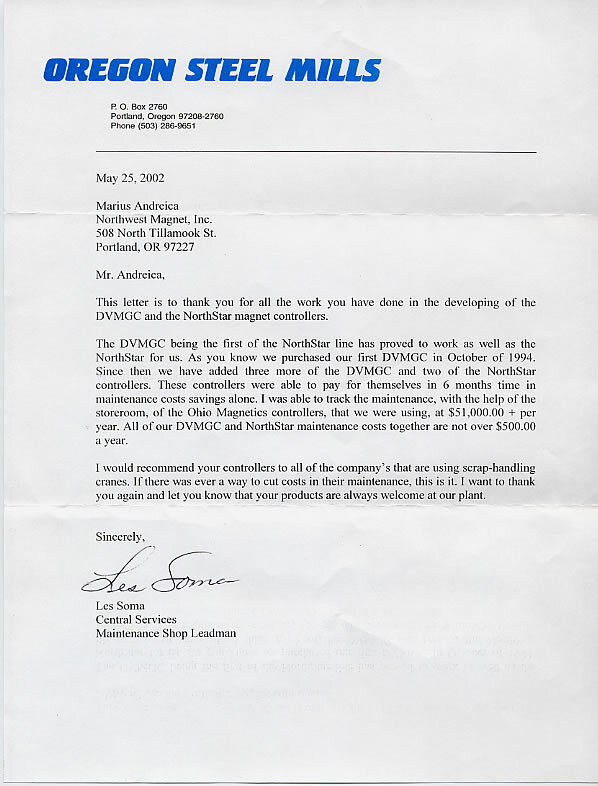 Increases magnet lifting capacity up to 30%. 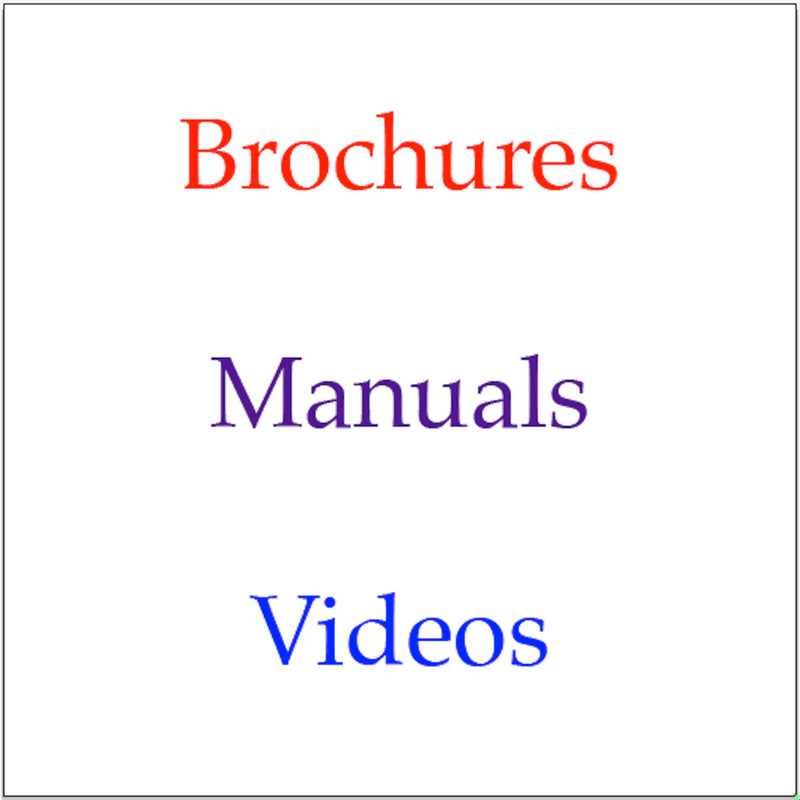 Saves time and money by increasing production and reducing maintenance time and expense. Produces consistent, clean drops. Requires no additional AC generator, belts or pulleys to purchase, install or maintain. 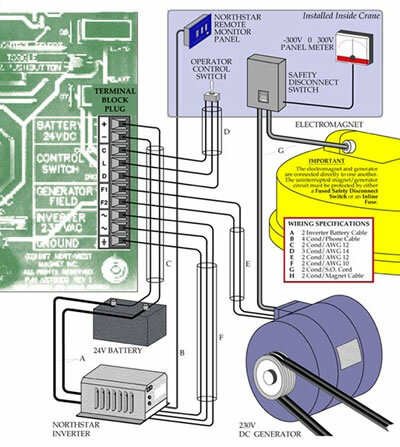 Electrical components are locally available. Simplifies installation and set up. Virtually maintenance free. Covered by a 2 year limited warranty.